Chicago, a buzzing city, arriving alone, a little bleary eyed and – being a worry wart in all big cities – clinging to any personal possessions for dear life. Last Summer Patrick and I – well, Patrick a few days later, hence the initial alone part – travelled to Chicago for a wedding, as well as a week of festivities leading up to it! 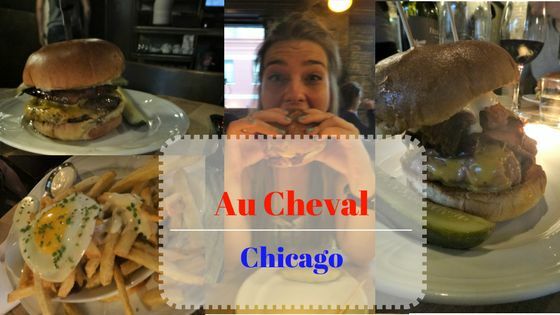 One of our nights for dinner on our own was spent at Au Cheval, recommended by a Chicagoan. A fancy, burger place that certainly wouldn’t be out of place in Shoreditch. 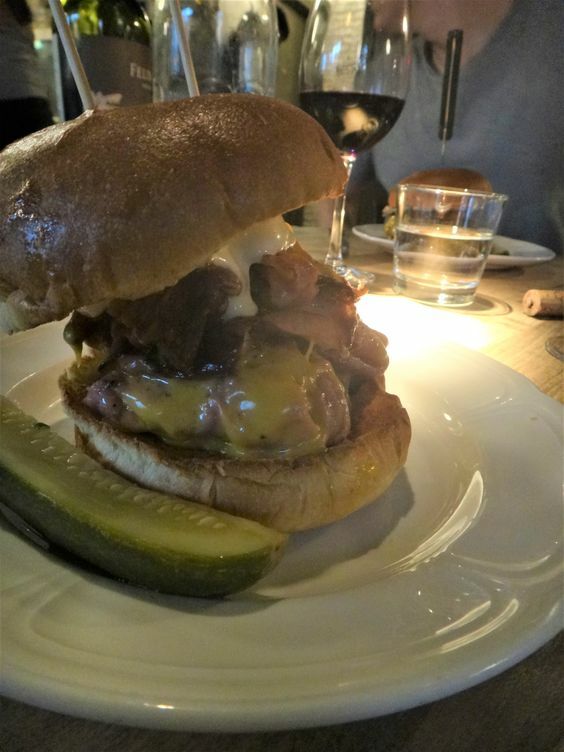 The menu is short and delicious, they’ve got some fab wine,they set the mood with dim lighting – not good for those with poor eye sight – and gloriously casual. Much like London’s east end reservations are a thing of the past, so queue up, put your name down and take your picking from the string of bars down the way. We chose Maude’s, strong cocktails and great people watching. Not much more you could ask for. After a drink we were back at Au Cheval for our table. The burgers are absolutley mouth watering. 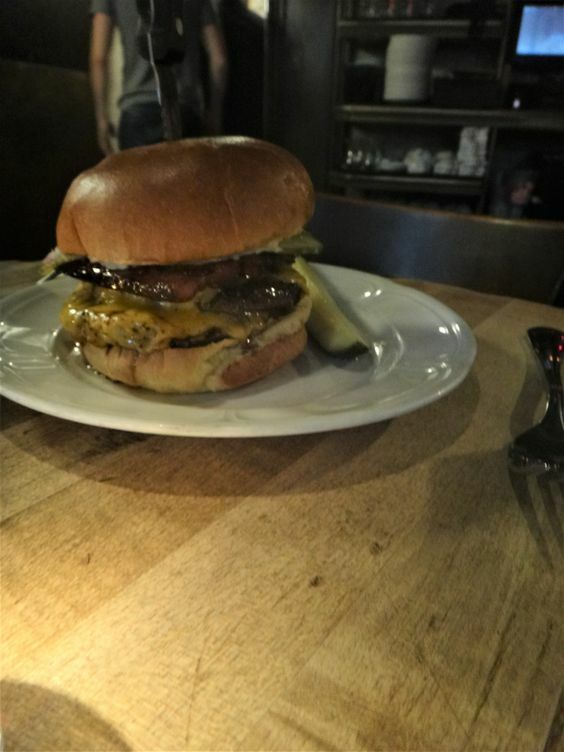 My own was a bologna sandwich and Patrick’s the double burger, which in fact is a triple, as all their burgers are a double. Oh America, you joker! 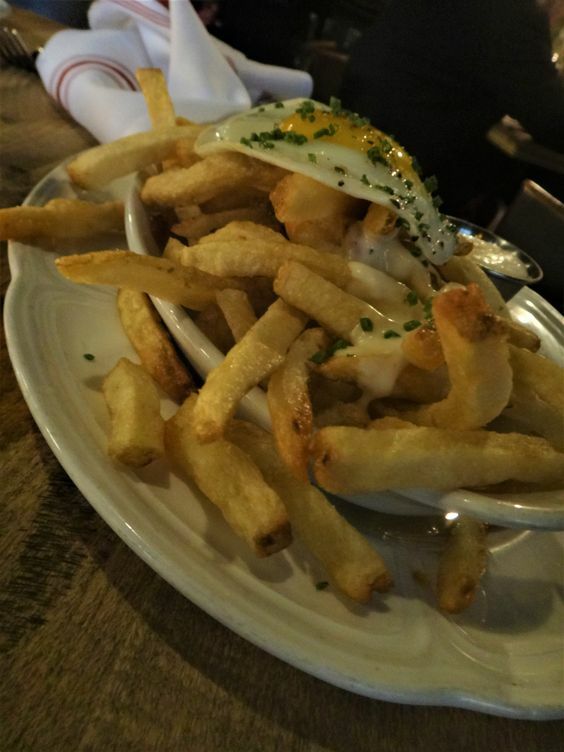 Now the real winner here was something that we were told we MUST try, and if you find yourself in Chicago, I pray you do so also, the fries with moray sauce, garlic aoili and fried egg. Sounds questionable, tastes epic, the egg oozes scrummy yolk, mixing all the sauces and engulfing the fries. I know I say it a lot, but simply glorious!!! Definitely somewhere to pay a visit if you find yourself in the area.